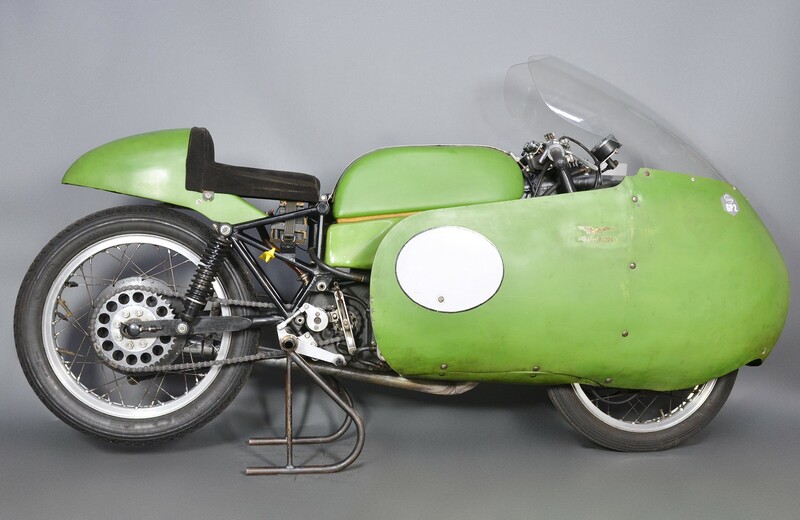 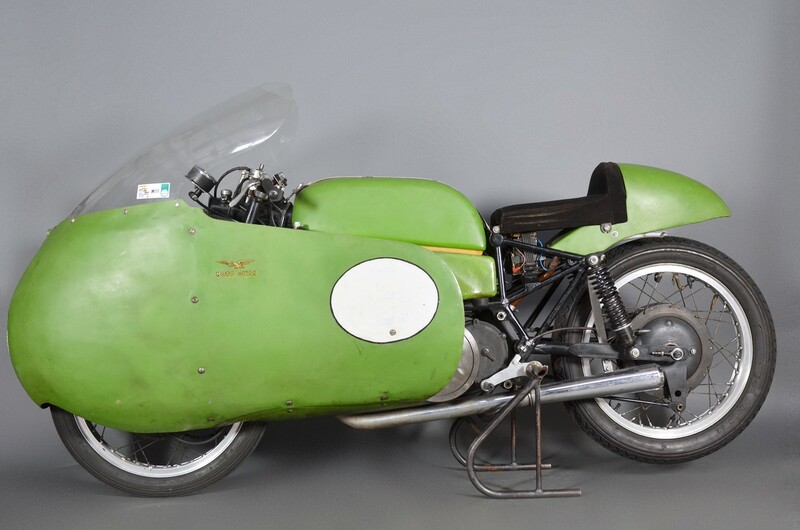 It is one of the most successful racing models of Moto Guzzi (5 world championships since 1953, the year of debut, to 1957, the year of retirement from competition). 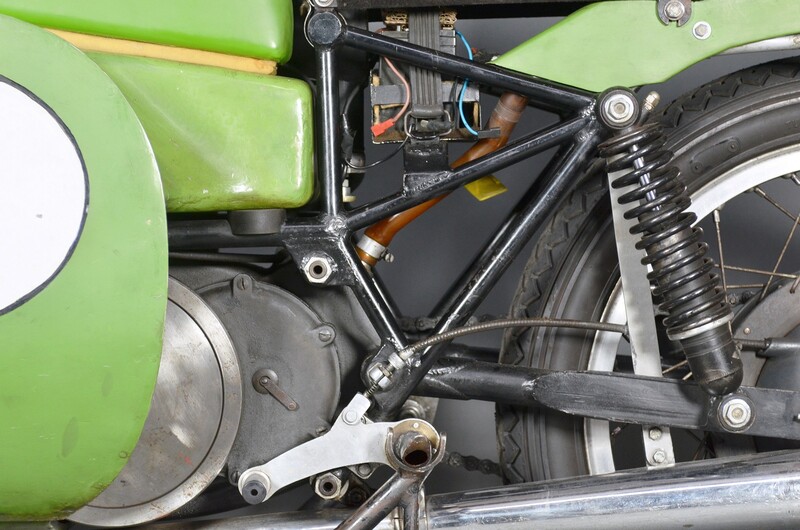 This is an evolution of the model 250 that recorded numerous technical innovations over the years: from the frames mixed in tubes and plates are moved first to trellis frames and later to wraparound frames very rigid and with the engine suspended. 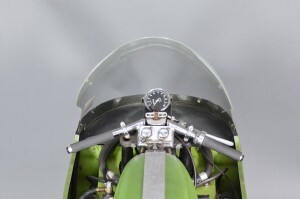 The highlight of this model was definitely the engine (very simple and reliable): a horizontal single-cylinder DOHC bevel gears, gear box and a five-speed, ignition distributor (magnet on the latest models). 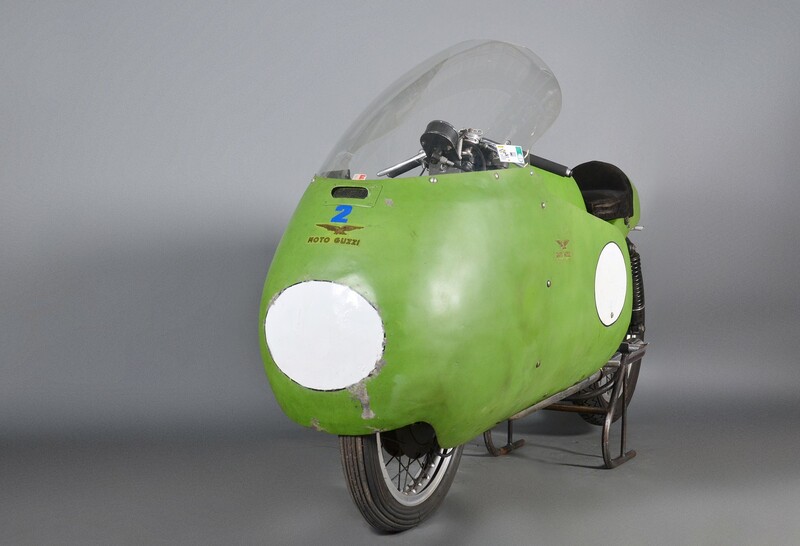 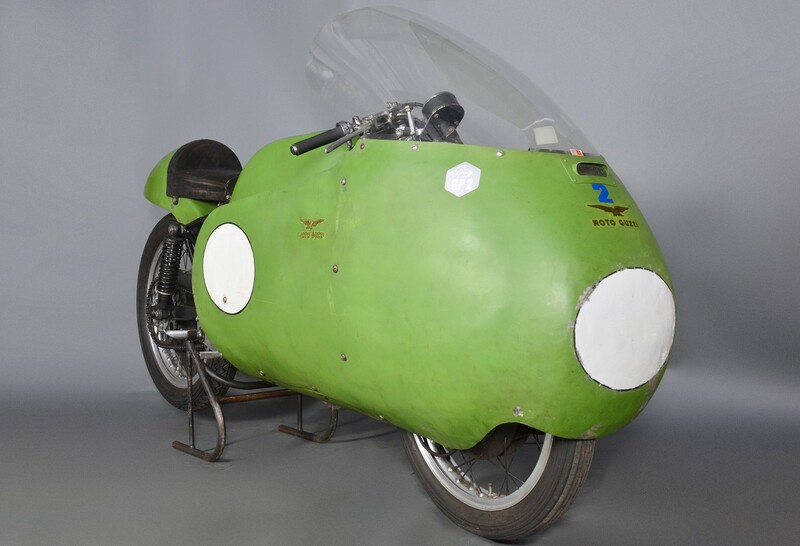 Other important aspects were about the adoption of fairings eveloped using a wind tunnel of Moto Guzzi property, the adoption of special steels and ultralight alloys which contained the total weight (220 lb in the latest version), facilitating greatly riding. To be underlined also the reduced fuel consumption that allowed to compete in races of long duration (such as TT) without the need to refill. The fuel, in fact, was in the barrel tank over the engine and the lubricating oil was inside of the frame tubes.